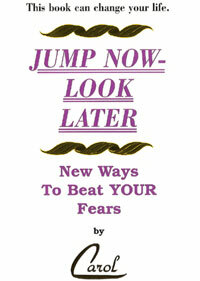 Success Now - Carol Pierce, Author / Success Coach / Resume Writer / Book Editor and Book Designer encouraging you to Jump Now! What false beliefs are holding you, your organization, or your company from success? Do you need help breaking them? See how these Success Now clients have earned the distinction of becoming Jump Now Success Stories as they continue to apply the Jump Now strategies personally and professionally. As they gain more and more success, many are even helping other Success Now clients in their climb to getting what they really want. Some are even helping Success Now’s Carol Pierce make her dreams reality even sooner and even better than she imagined possible! What can you learn from them? Carol Pierce simply responded, "That's not true...You can remain living here in Louisiana to get paid to do what you love!" Today...Pershing Wells’ musical engineering genius continues getting rave reviews nationally for his work on Joe Barry’s final CD and for the truly amazing feat necessary to complete Down That Muddy Road. Pershing Wells no longer is an unemployed musician, nor does he still play music part-time with BESR. Busy working full time arranging, producing, and recording music in his own 2 story recording studio in Houma, LA as the owner of Digital Sac-a-lait Productions, Wells continues to apply the information from that copy of Jump Now, Look Later he bought the day of Joe Barry’s CD release and went home to read. 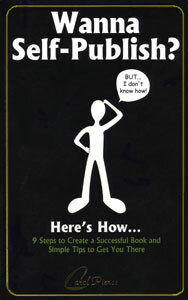 As Pershing Wells continues applying those Jump Now strategies personally and professionally, he now refuses to allow false beliefs to hamper his success. Wells not only understands the critical importance creating a positive environment plays in achieving success, but he also knows having teammates who want you to succeed is just as vital. As a result, Wells is now married to the woman of his dreams who is completely supportive of his work. Another of his seemingly impossible achievements is being invited to be part of a 10 day musical tour of Russia and receiving standing ovations while performing in some of Russia’s greatest concert halls. Wells’ growing list of clients even includes Success Now’s Carol Pierce. 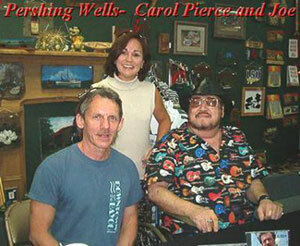 Listen to this audio clip Wells edited of excerpts from Carol’s Houma Live! talk show appearance. Both Pershing Wells and Carol Pierce prove you can live in your home state and be successful getting paid to do what you love to do. To learn more about how Success Coach Carol Pierce can help you achieve more success, contact Success Now today. 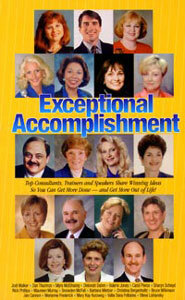 More Amazing Success Stories Who Continue to Apply the Jump Now Philosophy. . .